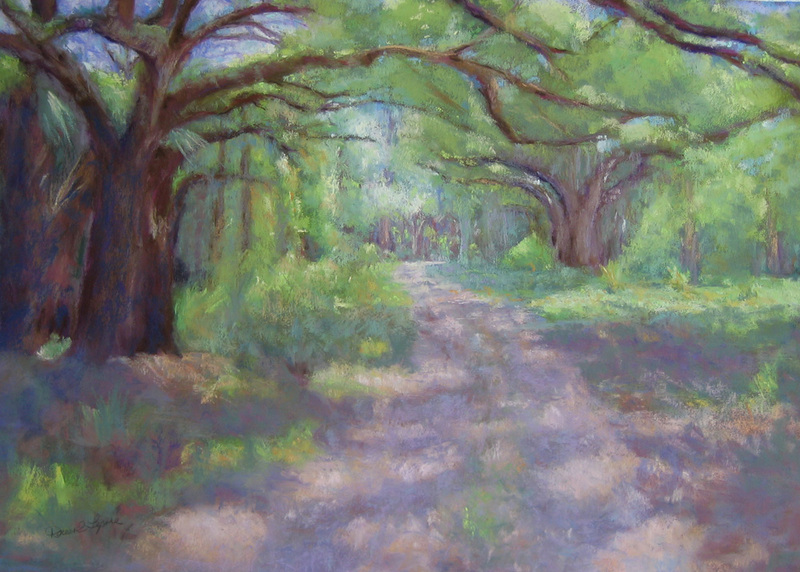 This is from Adams Ranch in Ft. Pierce, FL where the live oaks grow undisturbed. They are huge trees with far reaching limbs. A bit farther down this dirt road on the ranch is a picnic area with a giant tree house. I’m getting ready to start a new commission and while taking stock, making sure there were plenty of pastels in the box and planning my approach this painting came to mind. The new painting won’t have a path with dappled light but many of the colors will be the same, as well as the size.